In a rant at her editor of The Sunday Times in London, she rattles off the names of friends and colleagues who died in conflicts around the world. Pike’s line about Blundy’s killing, plus the scenes of Syria’s civil war, took me straight back to El Salvador. 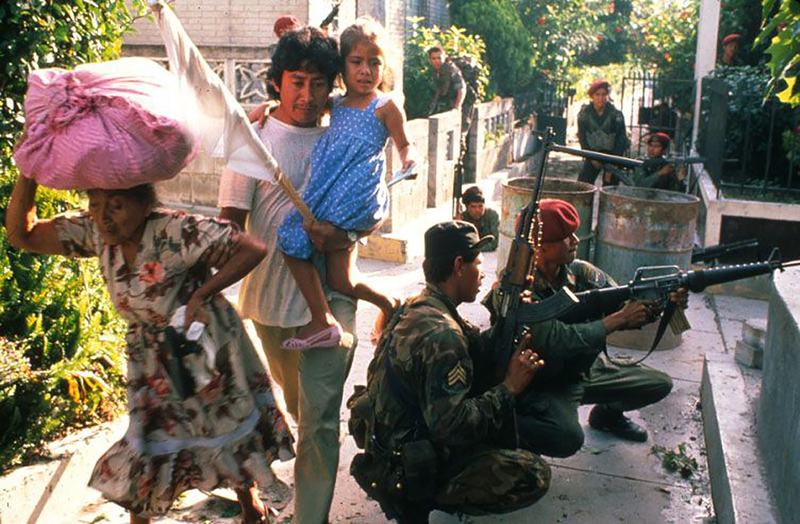 I covered El Salvador’s civil war as photojournalist for Newsweek magazine. It was where numerous friends and colleagues of mine were killed or wounded, and where I helped carry two of them off the field of battle in separate incidents. Both colleagues died. I rarely talk about those experiences. And I almost never write about them. But I believe that the climate in which we journalists and our craft find ourselves today demands that we, who know what real journalists really do, speak out. I find it deeply offensive, irresponsible, cowardly and dangerous that politicians and their followers criticize or attack dedicated professionals whose sole motivation is the search for truth. The attacks on truth, and on the journalists who tell it, are part of the reason that I’m working with colleagues at American University in Washington, DC, to create a course on journalists’ safety. In addition, I pursue my FREELANCERS project, a documentary series exploring the lives and the work of freelance foreign correspondents filling the void left by mainstream media retreating from news coverage abroad. I believe he is right. 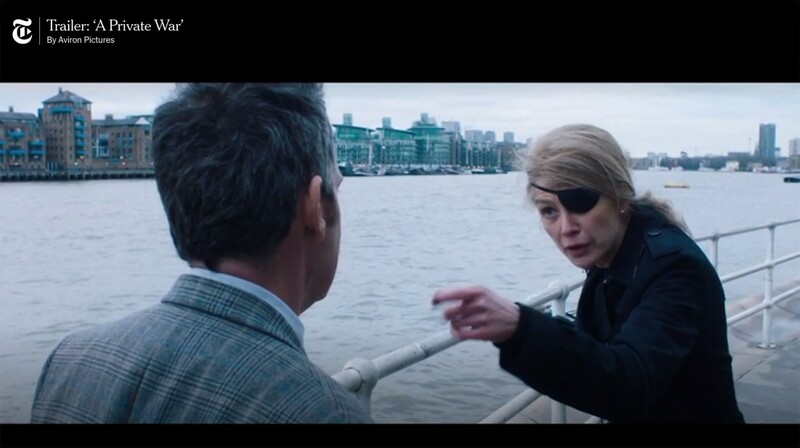 And I believe Marie Colvin was right. She was a voice of truth. A voice of all humanity. For civilians trapped in conflict in Syria, El Salvador or just about any place else, the story is always the same: Run for cover. Protect your family.